Gummy bears are delicious and a wonderful teaching tool. There are so many science concepts you can teach with gummy bears. I love that you can use this lab with some many levels of students. 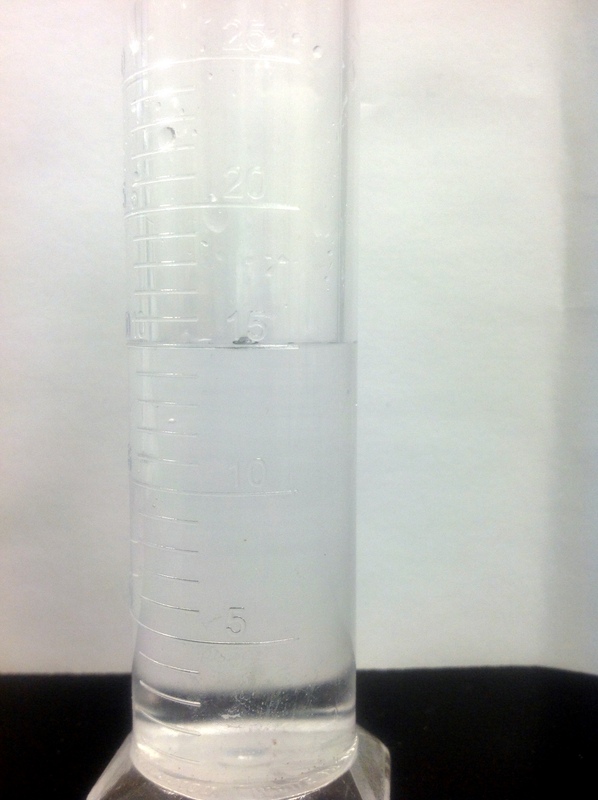 Primary students can simply measure the change in mass. Elementary students can look at volume and mass. Middle school kids can include density. High school kids can factor in index of refraction. 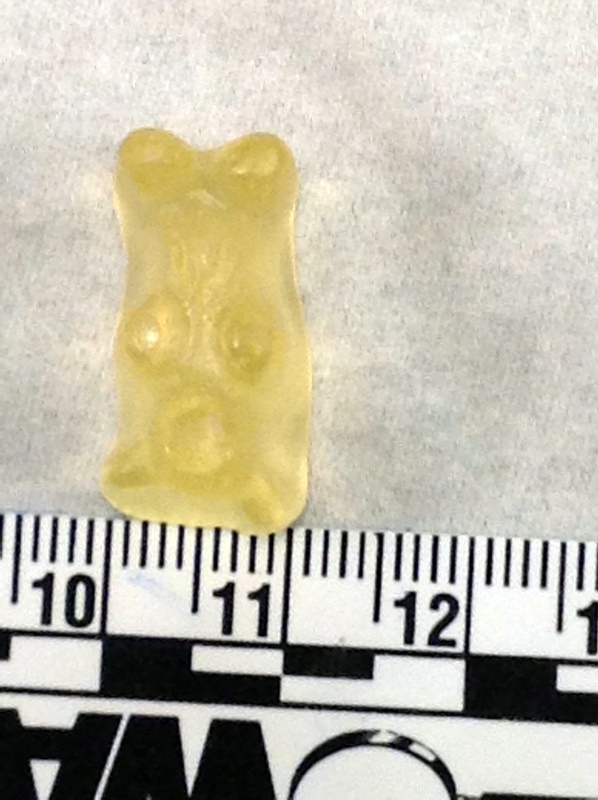 After all the gummy looks much smaller when it is under water. Students are always pleasantly surprised to take them out of the water and see how much bigger they rally are. Density is the ratio of mass and volume. In science class we use the metric system. We measure mass in grams (g) and volume in milliliters (mL). 1 mL is the same as 1 cm3. It’s a measurement of how crowded something is. Greater crowding means greater density. In scientific terms we divide mass by volume to get density. Gummy bears are inexpensive and readily available. They expand a lot in water. 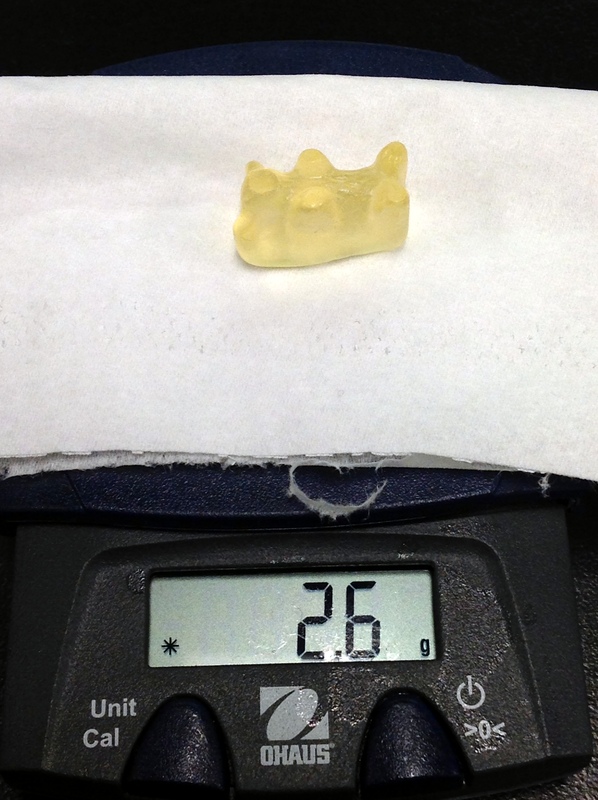 My students measure mass and volume of several gummy bears before they are put into water. Some measure volume by measuring length, width and height and multiplying. That’s not accurate because a gummy bear has an irregular shape. It’s better to measure by displacement. From this they calculate density. I have a several small portable Ohaus balances. I use Model PS 121 and while it is no longer available on the Ohaus website several other retailer sell them. Prices range between $25 and $50. 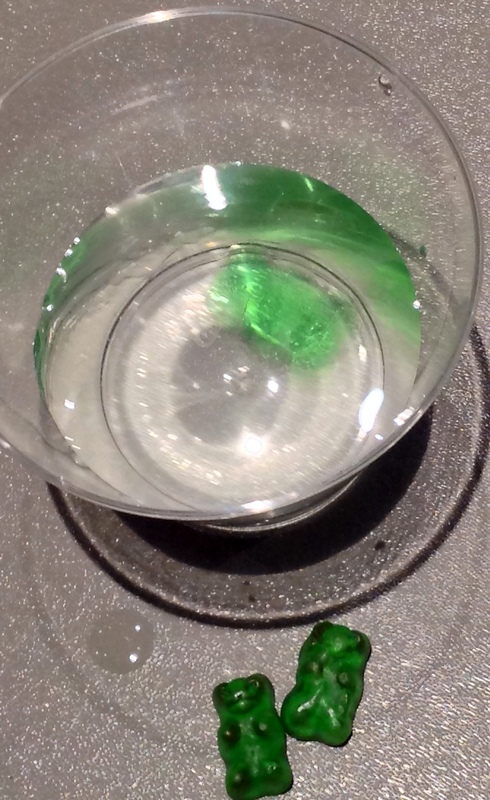 So the density of the clear gummy before the soaking is 2.6 g/2 mL = 1.3 g/mL. They wait 24 hours and measure the mass and volume again. My students then compare the two densities. Their challenge is two-fold. First they need to test all of the different color gummy bears to determine which gains the most in density over 24 hours. 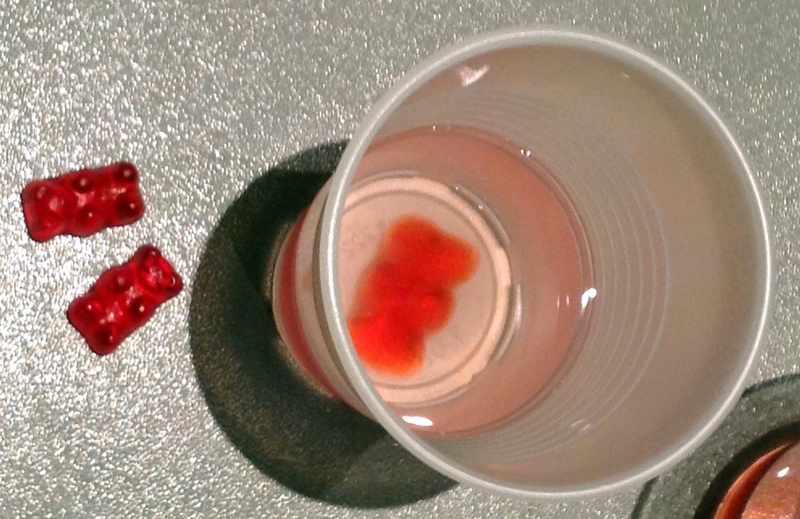 Second, using only one color gummy bear they test various liquids. Their challenge is to determine which liquid causes the density of the gummy bear to increase the most over a 24-hour period. The gummy bears don’t change density before and after soaking if they are soaking in water. 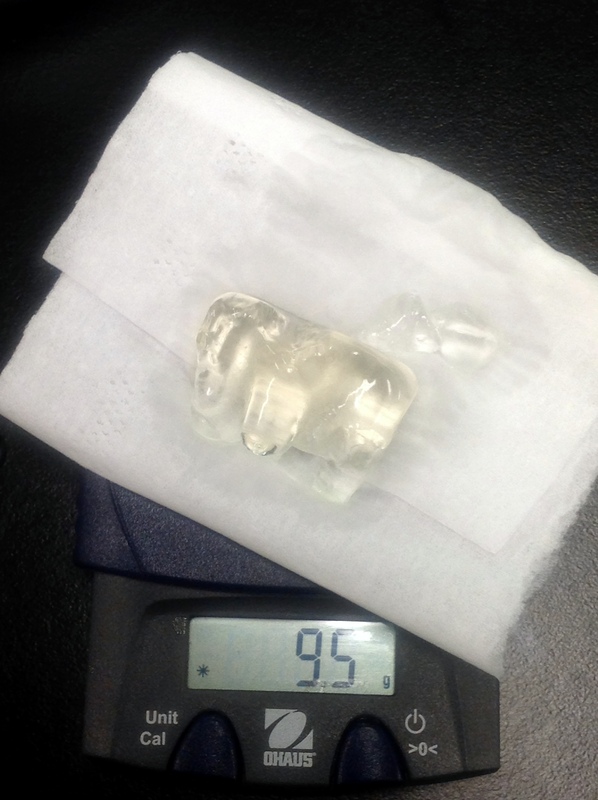 If they are soaking in a liquid with a density greater than about 1.2 g/mL, the density of the gummy bear will increase. The farther the liquid’s density is from 1.2 g/mL the more the gummy’s density will change It’s interesting because when we used maple syrup the gummy initially floated on top of the syrup. Throughout the day, the bear sunk deeper into the syrup probably because its density increased. As for the color, it doesn’t seem to matter. In fact if yo put two gummy bears of the same color in the same cup of water for the same amount of time, sometimes the increase in mass and/or volume is not identical. It certainly make the kids think. 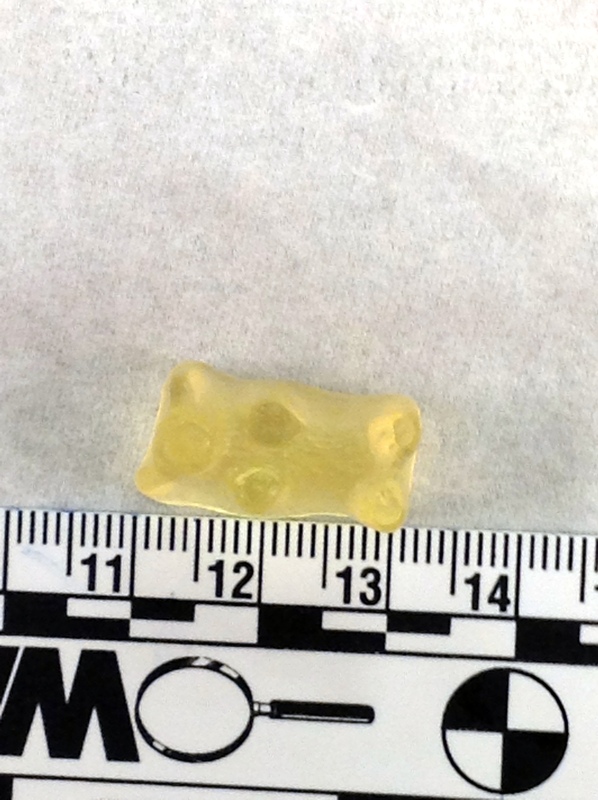 What do you think happened when the bear was soaked in a liquid with a density of less than 1.2 g/mL? I’ll let you and your students figure that one out. When my students are sure they know all about gummy bears and density I give them the mystery liquid. It’s safe to handle but we don’t know what will happen to the gummy bear when it is soaked overnight in this liquid. I encourage them to determine the density of the mystery liquid. 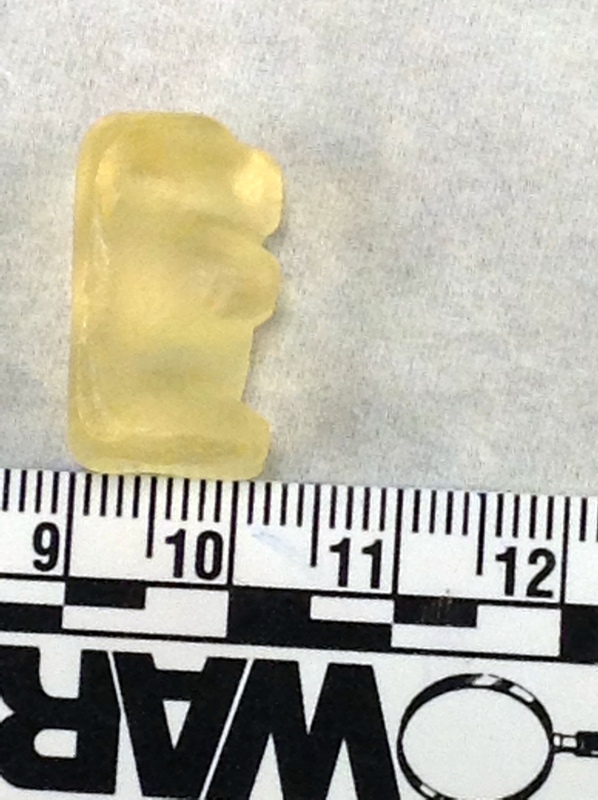 It’s salt water and it makes the gummy bear shrink. They are really surprised when they see that! 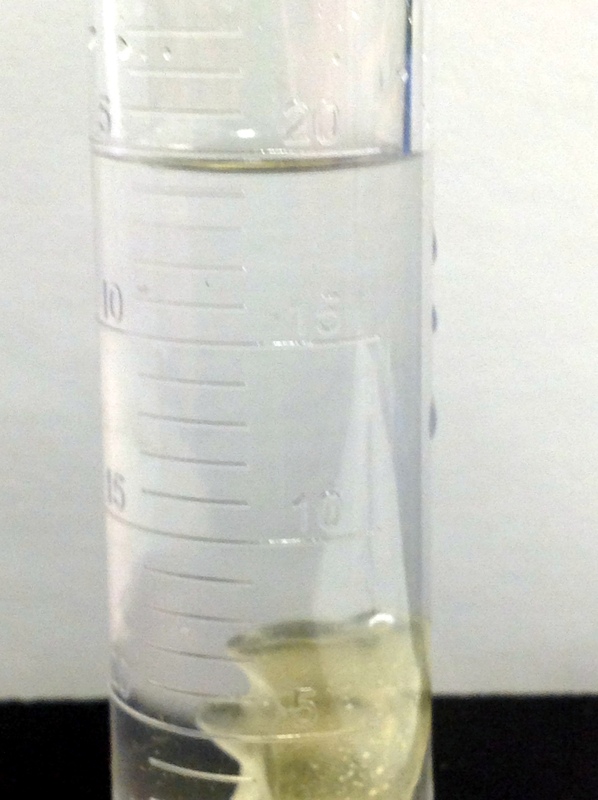 Although the focus of this lab was density, the students got the chance to practice a lot more. I’ve got tons of ideas for other gummy bears lessons. Here are some that I need to develop. Post a comment about what you do with gummy bears and density.